You answer the phone and a desperate voice on the other end of the line is seeking abortion services from your center. They ask about how much they are and how soon they can come in. 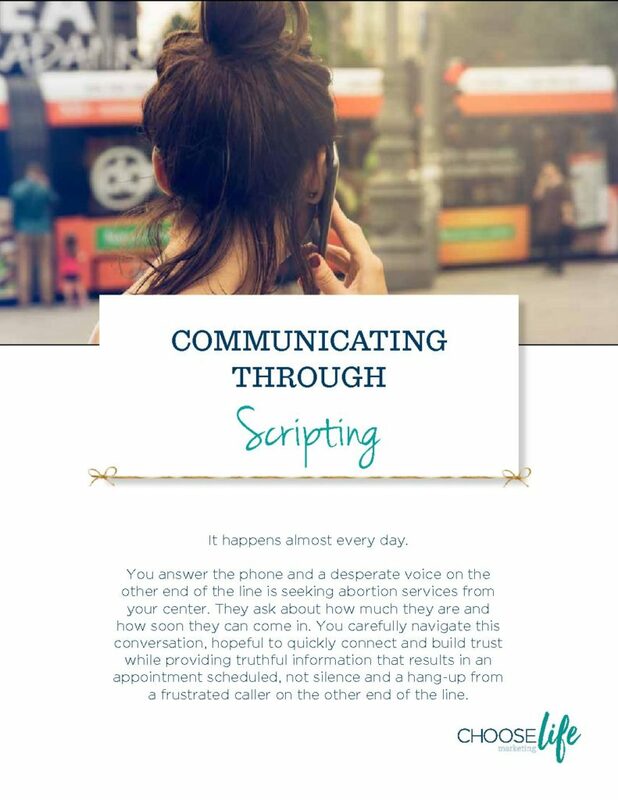 You carefully navigate this conversation, hopeful to quickly connect and build trust while providing truthful information that results in an appointment scheduled, not silence and a hang-up from a frustrated caller on the other end of the line. What are the indications that it’s time for a rebrand for your center? 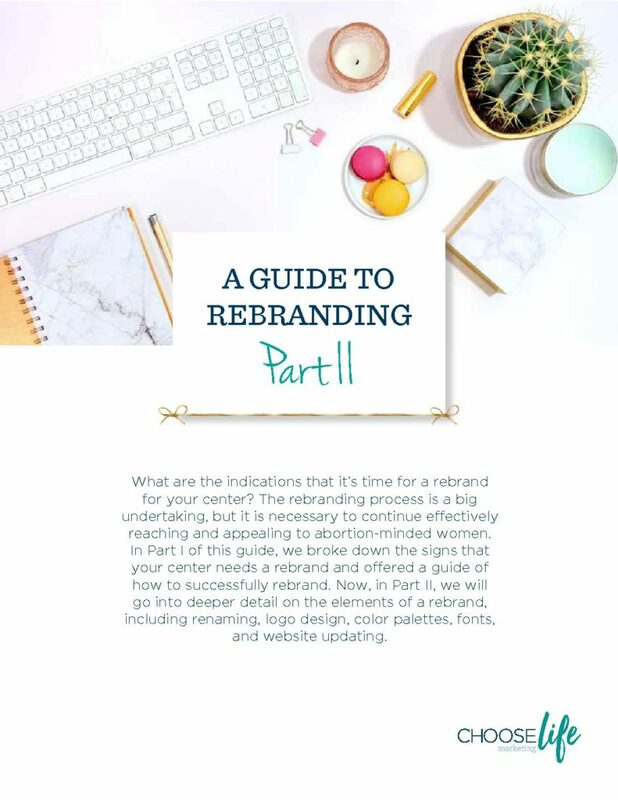 The rebranding process is a big undertaking, but it is necessary to continue effectively reaching and appealing to abortion-minded women. In Part I of this guide, we broke down the signs that your center needs a rebrand and offered a guide of how to successfully rebrand. Now, in Part II, we will go into deeper detail on the elements of a rebrand, including renaming, logo design, color palettes, fonts, and website updating. How do you know when to rebrand? 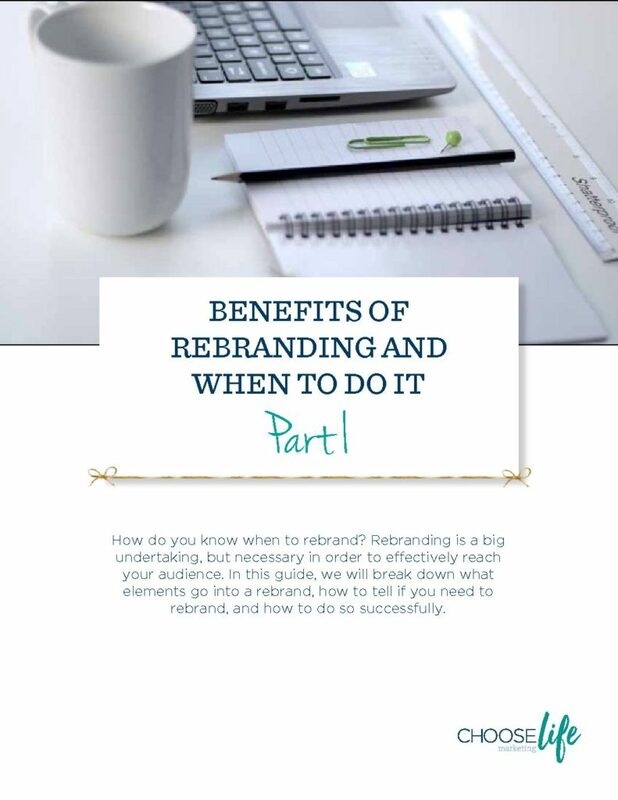 Rebranding is a big undertaking, but necessary in order to effectively reach your audience. In this guide, we will break down what elements go into a rebrand, how to tell if you need to rebrand, and how to do so successfully. 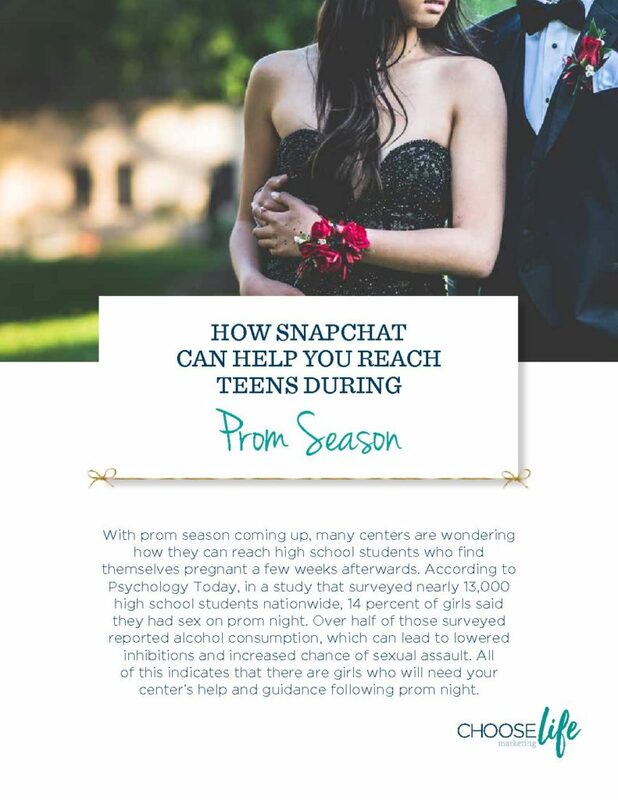 of this indicates that there are girls who will need your center’s help and guidance following prom night. Have you used voice search lately? Abortion-minded women around you, especially those who are younger, probably have. If you aren’t an early adopter of this growing trend, chances are that you’ll be joining in soon. Similar to the way Google cornered the search engine market with such overwhelming force that the brand is now synonymous with searching for something online (there’s a reason no one says, “Yahoo it” or “Bing it”). Likewise, voice search will soon become popular enough that it’s the standard. It will not be referred to as voice search. It will simply be called search. Google is the number one most used search engine in the world. Since its usage is so prevalent, it makes sense that abortion-minded women who are searching for unexpected pregnancy help will do so on Google. 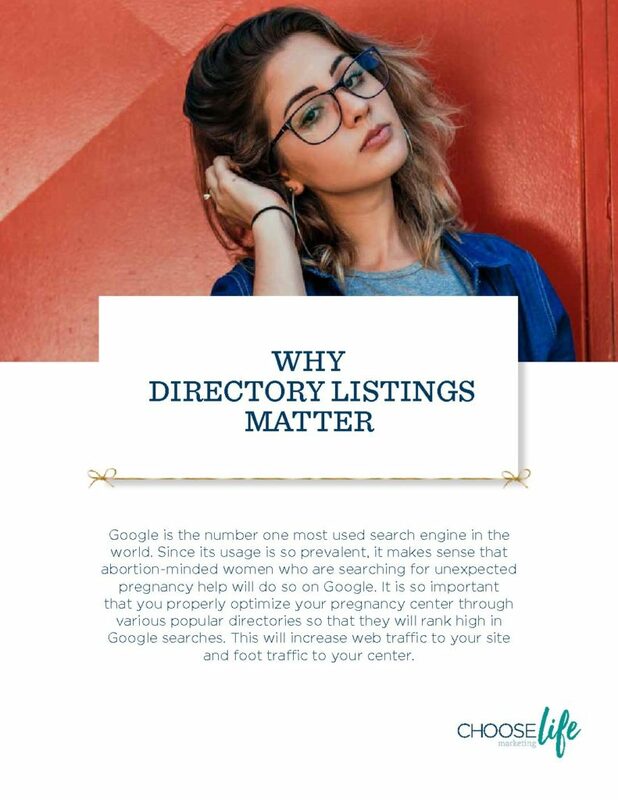 It is so important that you properly optimize your pregnancy center through various popular directories so that they will rank high in Google searches. This will increase web traffic to your site and foot traffic to your center. 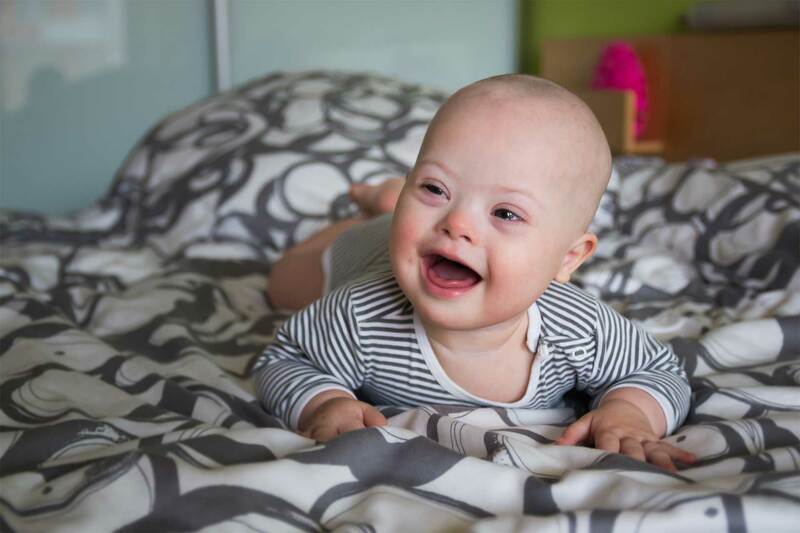 Building a solid, dependable donor base is crucial to the longevity of any pregnancy center. This is done by understanding how to speak to donors and knowing what matters to them. 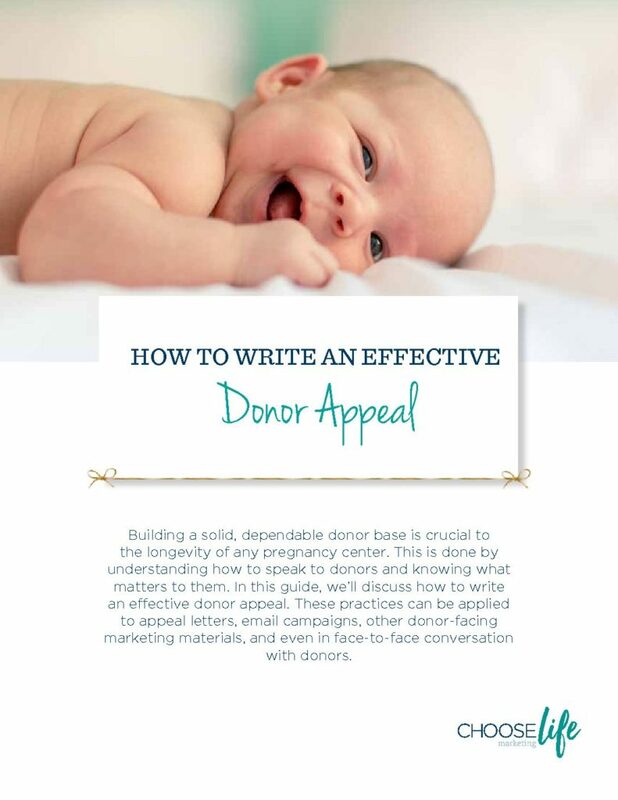 In this guide, we’ll discuss how to write an effective donor appeal. These practices can be applied to appeal letters, email campaigns, other donor-facing marketing materials, and even in face-to-face conversation with donors. 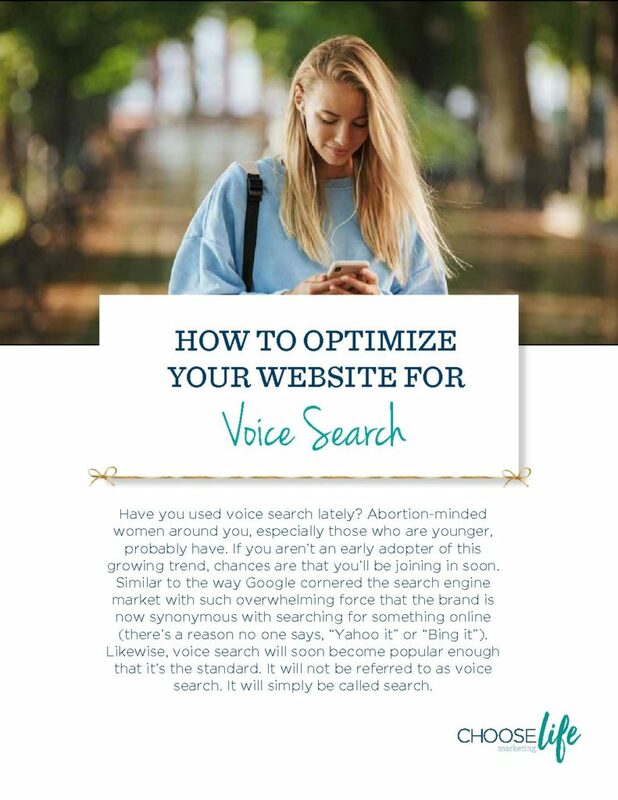 Paid Search is one of the most effective tools for bringing more abortion-minded women to your center, and a properly set-up landing page is invaluable to this marketing strategy. A potentially abortion-minded woman would be directed to a landing page if she clicked on a Paid Search text ad for your center. 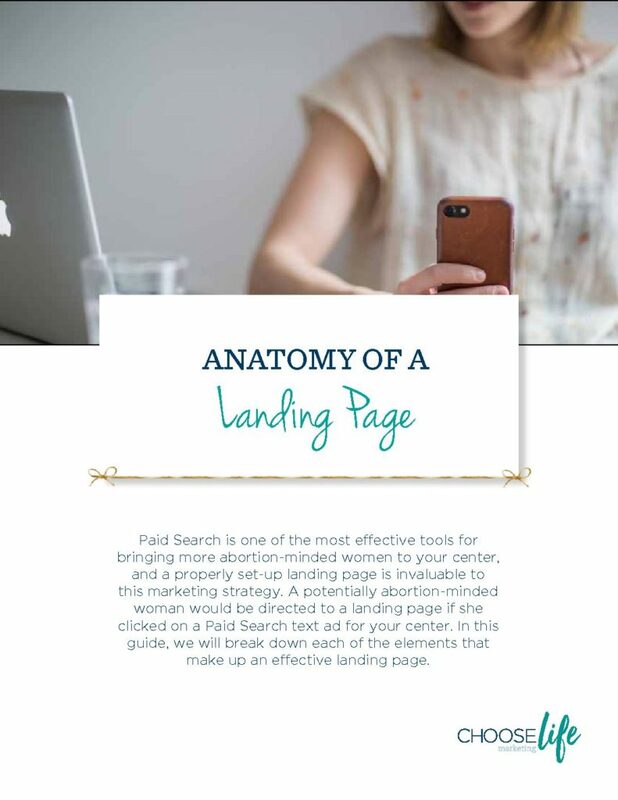 In this guide, we will break down each of the elements that make up an effective landing page. Reaching each audience with its appropriate message is a challenge that any organization faces, and for pregnancy centers, this can be even more difficult. Pregnancy centers seek to communicate with two very different demographics – clients and donors. 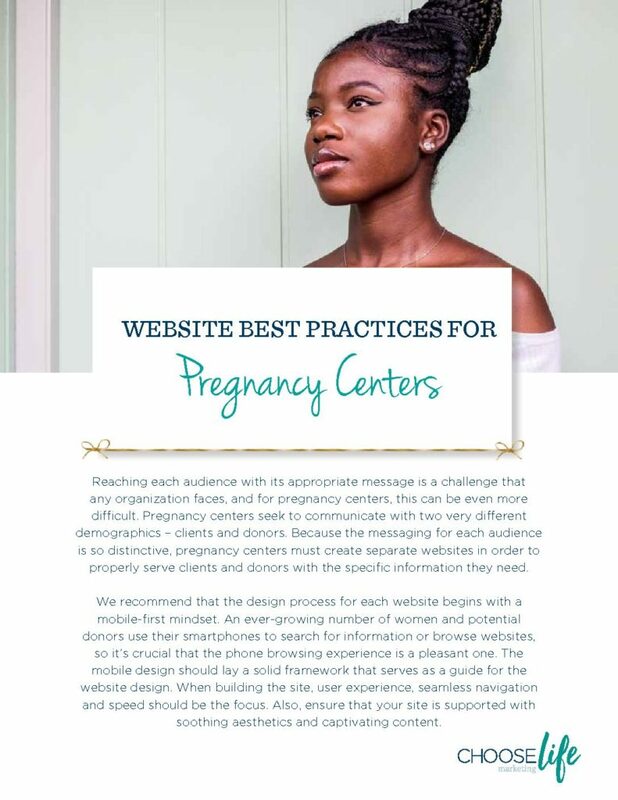 Because the messaging for each audience is so distinctive, pregnancy centers must create separate websites in order to properly serve clients and donors with the specific information they need. 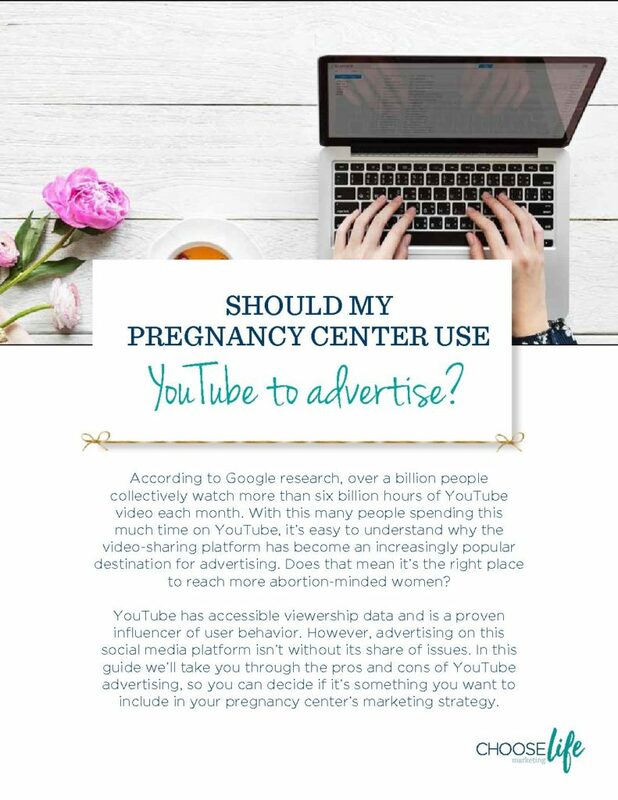 Should My Pregnancy Center Use YouTube? According to Google research, over a billion people collectively watch more than six billion hours of YouTube video each month. With this many people spending this much time on YouTube, it’s easy to understand why the video-sharing platform has become an increasingly popular destination for advertising. Does that mean it’s the right place to reach more abortion-minded women? From national events and awareness weeks to social media holidays, there are numerous opportunities for you to join in on the pro-life conversation on the donor side, as well as interact with many potentially abortion-minded women throughout 2019. You don’t want to miss a single day! 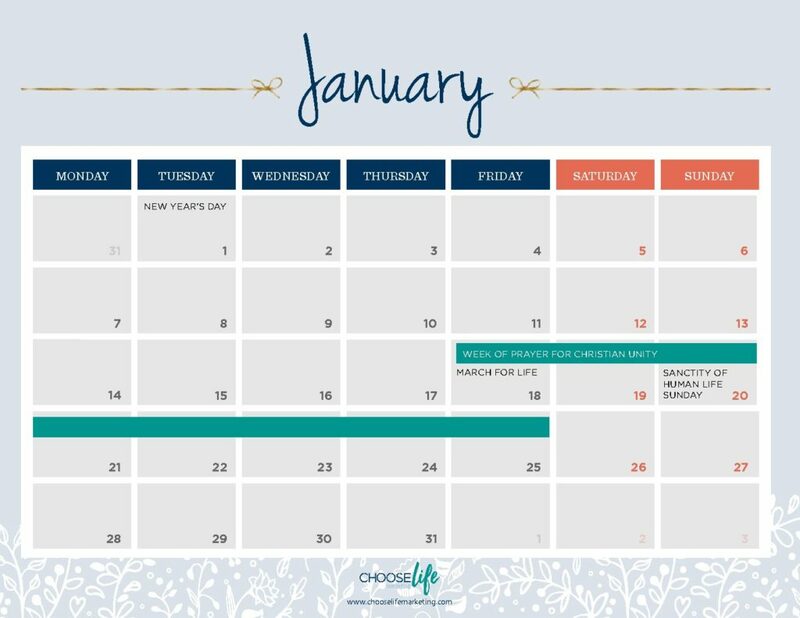 Download our 2019 Marketing Calendar for Pregnancy Centers to amplify your efforts this year. 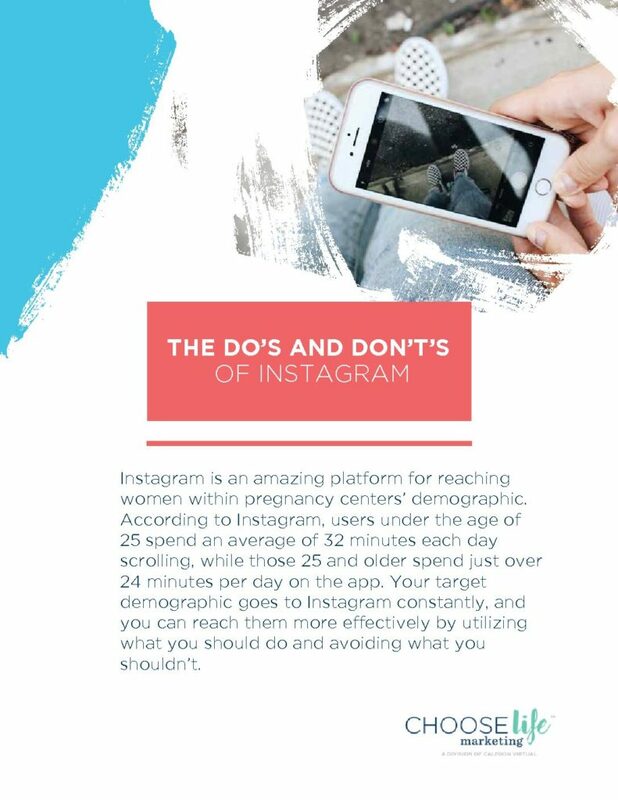 Instagram is an amazing platform for reaching women within pregnancy centers’ demographic. According to Instagram, users under the age of 25 spend an average of 32 minutes each day scrolling, while those 25 and older spend just over 24 minutes per day on the app. Your target demographic goes to Instagram constantly, and you can reach them more effectively by utilizing what you should do and avoiding what you shouldn’t.